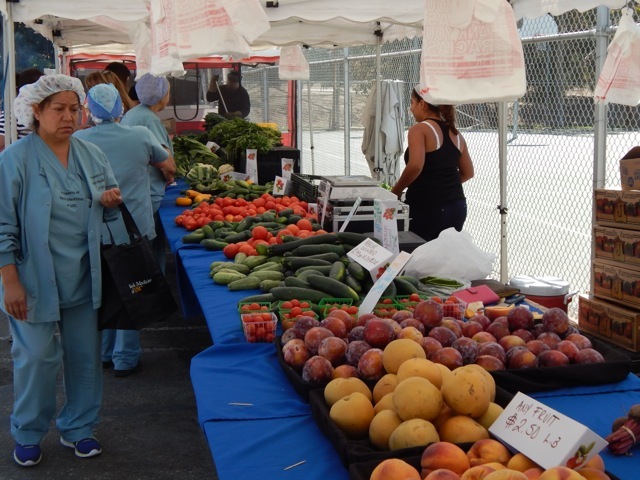 Organizers of a new farmers market in Los Angeles’ Boyle Heights district hope better access to healthy foods, like fresh produce, will help improve health in the neighborhood. Residents who live in local public housing projects, like the Ramona Gardens community, experience high rates of diabetes and other health problems linked to poor diet. “They are worried about obesity, diabetes, doing preventative things, so we really felt that partnering with the community, a farmers market would be a great solution.” Read the story at Boyle Heights Beat. This entry was posted on October 22, 2016 by Editor in Boyle Heights Beat, Print and tagged diet, health, nutrition.